Providing high-quality medical diagnostics in low-resource settings, such as forward-deployed military units, rural areas in Africa, or in the middle of natural disaster scenarios, requires portable laboratories that should be affordable, easy to transport, easy to use (even by minimally trained users), and independent of infrastructure. 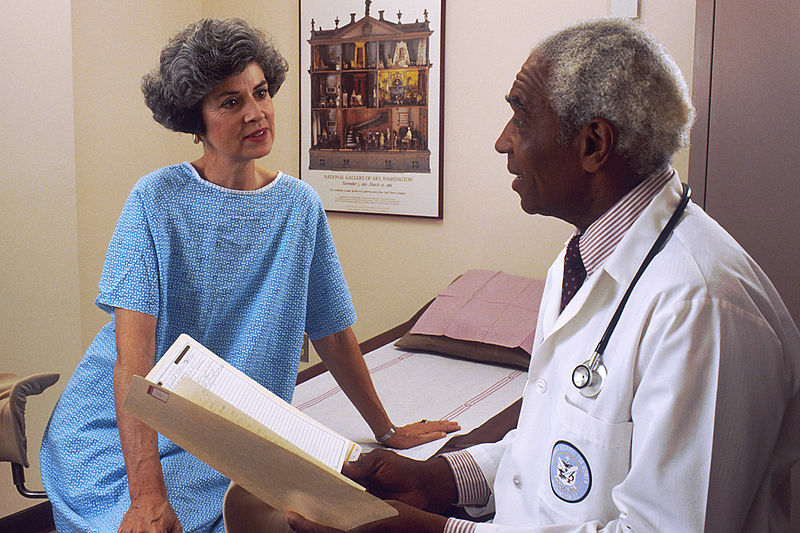 While a variety of portable solutions have been proposed to diagnose some of these health problems and infectious diseases, their dependence on cumbersome/expensive equipment, refrigeration conditions, and skilled personnel prevents their adoption by first responders and healthcare personnel who require accurate and quantitative results in resource-limited settings. Without a rapid, deployable, and field-sustainable diagnostic tool, healthcare workers in low-resource areas and natural disaster sites are forced to make their decisions based on observed symptoms, which, usually begin 4-6 days after infection and are often mild and can be easily mistaken for those of flu or other viral infections. The FlexiLab, research group lead by Prof. Ramses Martinez at Purdue University, used cellulose paper, rendered superhydrophobic using spray coating, to fabricate self-powered, paper-based, electrochemical devices (SPEDs) capable of performing accurate medical tests at the point of care. SPEDs have two functional layers: A top layer containing self-pipetting microfluidic channels distribute urine or blood samples over the electrochemical and colorimetric test zones (see Figure 1). The bottom layer of the SPEDs is a paper-based triboelectric generator capable to harvest electric energy from the charges at the fingertips of the user. To perform an electrochemical test using SPEDs, the user needs to connect them to an inexpensive small portable circuit called “potentiostat” (see Figure 2), tap the back of the SPED for about 3 minutes so the triboelectric generator can charge the rechargeable battery of the potentiostat, and apply a fingerprint of blood on the top layer of the SPED that will serve as a sample for the medical diagnostic test. The paper-based tribogenerators integrated into SPEDs were able to not only provide enough energy to run electrochemical tests but also re-charge small batteries, which could be used in parallel to recharge a cellphone. This provided the first example of how self-powered, paper-based electrochemical devices could be used to facilitate telemedicine applications, using a machine-vision algorithm capable to identify the shape and orientation of colorimetric tests in a digital image, to apply an adaptive color image filter to minimize color artifacts from illumination conditions and to interpret the results of the tests (see Figure 3). 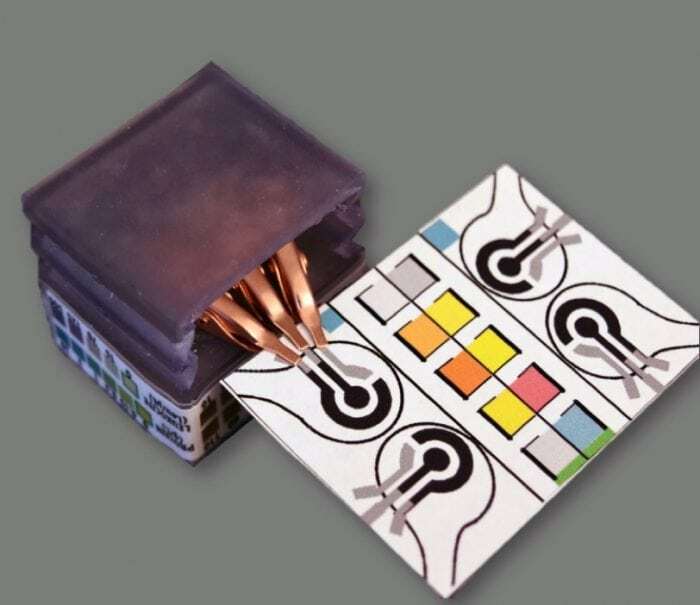 After the SPEDs are used to perform up to 4 electrochemical tests and 10 colorimetric assays, they can be easily disposed of by burning (see Figure 4). SPEDs proved to be capable of detecting and measuring different analytes such as glucose, uric acid and L-lactate in blood; pH, ketone, hemoglobin, white blood cells, etc. in urine. 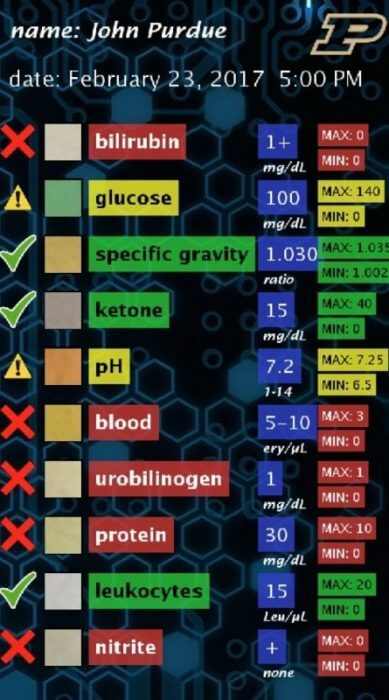 These biomarkers correspond to the detection and monitoring of diseases related to liver and kidney function, malnutrition and anemia. Future work envisages the detection and monitoring of biomarkers for infectious diseases in remote areas such as HIV, dengue fever, yellow fever, malaria, and hepatitis. This study, Self-Powered, Paper-Based Electrochemical Devices for Sensitive Point-of-Care Testing was recently published in the journal Advanced Materials Technologies. Ramses V. Martinez is an Assistant Professor of Industrial Engineering and Biomedical Engineering at Purdue University. His research focuses on the on the development of scanning probe nanolithographies based on the spatial confinement of chemical reactions within a liquid meniscus. Dr. Martinez received a B.A. in Applied Physics from the Universidad Autonoma de Madrid in June 2004 and a Ph.D. in Physics and Materials Science from the Spanish National Research Council (CSIC) in 2009.